By serving its members the Alpena Area Chamber of Commerce actively champions economic development and the advancement of the community’s quality of life. Location: ACC Granum Theatre, 665 Johnson St. Details: Leadercast is the largest one-day leadership event in the world. Broadcast live each year from Atlanta, GA, Leadercast assembles globally respected leadership experts on one stage to share knowledge and insights from their leadership journeys. Speakers this year include: Gayle King ~ Marcus Samuelsson ~ Ginger Hardage ~ Juliet Funt ~ Patrick Lencioni ~ Craig Springer ~ Andy Stanley ~ Carla Harris ~ Dr. Caroline Leaf ~ hosted by Tripp Crosby. Leading Healthy Teams – What defines a team’s success? Is it based solely on achievement, or is there more to the story? The best leaders know a successful team is made when focus, care, attention and development is directed to its members. Healthy teams yield fulfilled employees, effective collaboration, high organizational engagement and greater long-term success. Interested in attending? Tickets are $70 for chamber members ($100 for prospective members). Contact us at info@alpenachamber.com or 989.354.4181. Location: Alpena Senior Citizens Center, 501 River St. Details: Cost is $10 per person. RSVP required to info@alpenachamber.com or 989.354.4181. Sponsored by Blue Cross Blue Shield of Michigan. Location: Alpena Community College CTR Room 106, 665 Johnson St. Details: Mark your calendars to join us for this award worthy session. In today’s competitive marketplace, how do you differentiate yourself through customer service that is “Award Worthy?” If we are to be worthy of our customer’s on-going business, we need to build a culture of excellence that permeates every level of the organization. Just in time to kick off the busy season, this half day session will provide the tools and skills to take your Customer Service culture to a new level. Cost is $25 for Sponsor, Partner, Leader and Chairman Level Members; $35 for Business Level Members; and $50 for Potential Members. Advanced registration is required to info@alpenachamber.com or 989.354.4181. Sponsored by Northland Area Federal Credit Union. Location: Alpena County George N. Fletcher Public Library, 211 N. First Ave. Details: Cost is $10 per person. RSVP required to info@alpenachamber.com or 989.354.4181. Sponsored by Lappan Agency & Auto Owners Insurance. Location: Art in the Loft, 109 N. Second Ave. Details: Cost is $10 per person. RSVP required to info@alpenachamber.com or 989.354.4181. Sponsored by GreenStone – Farm Credit Services. Location: APlex, 701 Woodward Ave. Details: Cost is $10 per person. RSVP required to info@alpenachamber.com or 989.354.4181. Sponsored by United Way for Northeast Michigan. Details: Save the date, more details to come. Details: Chamber members may bring up to five boxes of documents (paper case size or smaller) and one hard drive for shredding for free. Additional boxes will be $5 each, and additional hard drives are $10 each. No advance registration required, just show up. Location: Great Lakes Maritime Heritage Center, 500 W. Fletcher St. Details: Attendees will be emboldened to take courage in their daily lives, whether it be in the workplace or at home. At this one-day leadership event, nine leading women will share their inspirational stories of courage while also teaching us steps to enable change in our lives. Speakers include Deshauna Barber, Francesca Gino, Glennon Doyle, Kate Delaney, Kendra Scott, Laura Ling, Luvvie Ajayi, Priya Parker, and Susan Packard. More information will be available soon. Details: Cost is $10 per person. RSVP required to info@alpenachamber.com or 989.354.4181. Sponsored by Northland Area Federal Credit Union. Details: Contact us if you’d like more information, 989.354.4181 or info@alpenachamber.com. Details: More information will be available at a later date. If you would like to schedule a ribbon cutting please contact us at 989.354.4181. I can’t speak to the quality of other Chambers, but in my observation, it appears that the Alpena Chamber is right up there with the best. I’m happy to join the organization. You do a great job. As someone who has owned a business in Alpena for 20 years It’s a little embarrassing to admit I didn’t belong to the chamber. As many business owners understand you are inundated with people wanting you to buy this and that. However, I’m sorry I didn’t join sooner they are more than accommodating and do all they can to help you. The information is very informative, and you can keep abreast of all that is going on in the community. I would recommend anyone sitting on the fence about joining to do it without hesitation. 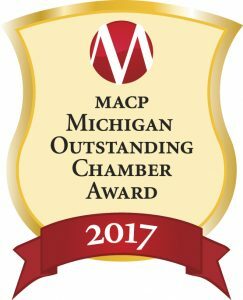 Art in the Loft is a proud member of the Alpena Chamber of Commerce. Since being a member we know that we are in a group that has a mission to make Northeast Michigan a destination, not only for tourists but also a place where Alpena’s natives are proud to call home. The Alpena Chamber of Commerce is in support of all types of businesses that will benefit the business climate of our community, which is refreshing for our Fine Arts Center. As a host to the monthly “Good Morning Alpena” breakfasts, which we always look forward to, we are able to see firsthand the activities and events that local businesses produce. When being a part of these types of events, as well as a member of the Chamber, we know that our business will flourish and will greatly benefit our community. We invest in the Alpena Chamber because of all of the support and services that they offer to the Alpena business community. Planning events to bring visitors to our area, offering seminars and other types of business related training opportunities and their unrelenting focus on marketing our area are just a few examples of how they are continually trying to improve and strengthen our local business.